GiroNex – a new Cambridgeshire-based technology spin-out – has announced the first details of a novel precision powder dispensing technology that could significantly increase the pharmaceutical industry’s ability to offer patient-specific dosing for more effective treatment of specific conditions. The new GiroNex technology can quickly dispense from 0.1mg to 5g of pharmaceutical or other chemical powders into vials or capsules and with accuracies of 2% or better across the complete weight range. This innovative new approach has been specifically developed to target fast-growing opportunities in regulated production environments such as: the use of localised manufacturing to enable pharmaceutical companies to offer more tailored treatments; and by hospital pharmacy compounding units involved in preparing patient-specific doses and drug combinations, nutritional supplements and other materials. In addition, GiroNex will help enable a new generation of automated ‘dispense and weigh’ systems for use in pharmaceutical R&D, QA/QC and other laboratory-based applications. “GiroNex has developed its new precision powder dispensing technology based on parent company GB Innomech’s experience in developing bespoke automation for some of the world’s top healthcare companies. The technology is robust and reliable, and offers a powerful combination of high performance, ease of use and low operating costs for use in a broad range of pharmaceutical R&D and manufacturing applications,” said James Veale, technology development engineer. GiroNEX uses a gently oscillating powder dispensing mechanism that is capable of dispensing even the most sensitive of powders without damaging them or compromising on dispensing speed and accuracy. The technology uses a series of interchangeable dispensing heads that covers a typical mass range and provides limitless dispensing capability, making the technology more cost effective and easier to use than current existing technologies. The company’s automation team has based its system software on an innovative and proprietary algorithm that learns how best to dispense new powders ‘on the fly’ – effectively characterising a powder’s flow behaviour while it is being dispensed. 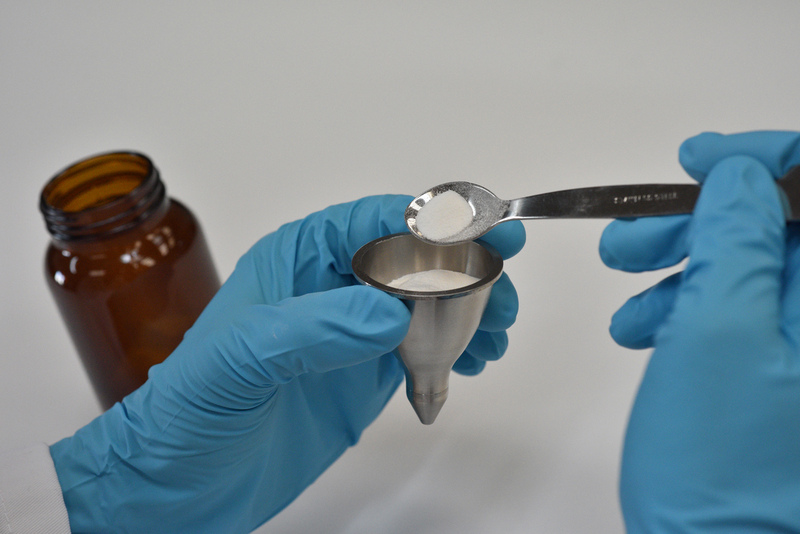 As a result, users will no longer need to invest valuable R&D time and resources in developing and testing reliable powder dispensing methods. The company has already developed a prototype R&D laboratory-based system that uses a Sartorius weigh cell to display weights to the nearest microgram. The data is automatically transferred wirelessly and recorded with other batch and sample details to a dedicated system tablet. The company expects to take its first laboratory system into production in Q1 2019, while at the same time continuing to develop the core technology for more advanced pharmaceutical and other industrial applications.